CNC 32 replaces the original C-3240 manufactured by Mitsubishi / Totoku. The 32 monitor was built under license to Mazak / Yamazaki corporation, utilizing Mazatrol (Mitsubishi) control system. 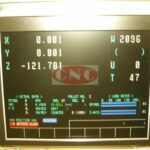 The OEM monitor is a 12″ mono crt screen, which our CNC 32 replaces. We have evolved through using CRT, LCD / TFT, and now use our latest LED system. We do not want, need or require your old monitor. 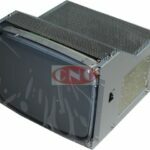 The C-3240 replacement monitor comes with a full 24 month / 2 years warranty.